I have a problem with the number four. I’m not sure if it’s me or our messed up language. 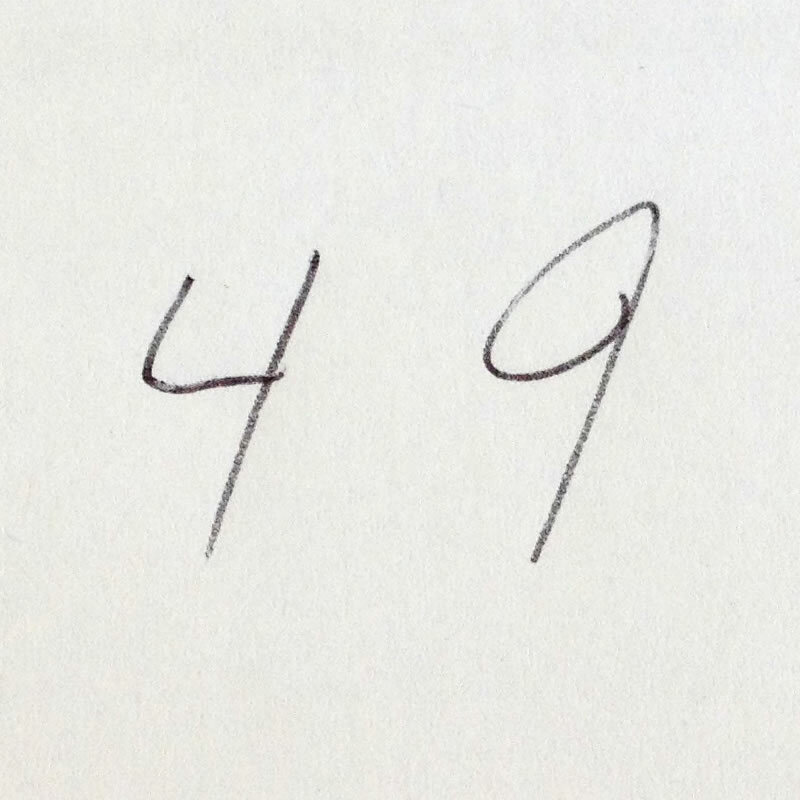 I will often write the number 9 and people will ask me if it’s a 4, even when I have also written a number four with it. Look to the right. There is my four and nine. 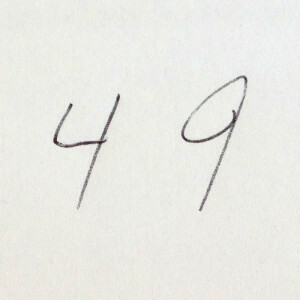 The four is an L shape with an l on the right. The 9 is an o with a l on the right. Completely different and easy to distinguish. Am I writing them wrong? I did. There isn’t proper way to write a four or a 9. It varies with the type face. Maybe your nine is written wrong. Ancient versions look like question marks and @ signs, but overall my nine is written correctly: A circle with a trailing line going down from the right. No angles, not even a rounded angle. I looked at the evolution of the glyph "4" and it didn’t help either since older versions included an "X" with a closed top and something that looked like a Y. In most online fonts four is displayed with the closed top. Of the handwriting I’ve seen over the years more people use the open top than the closed, but that doesn’t define it either. Although to avoid confusion, digital displays always show the open top on the four. Stop hanging around stupid people. Well, I’m not going to change how my nine or four is written at this point. So I guess that’s the best suggestion. Previous Post Previous post: Dry.